Towing service in Rocklin is what we do. Rocklin Ace Towing has tow trucks available all day every day - that means 365 days a year. Our dispatchers are standing by 24/7 to take your calls and send an experienced tow truck driver to help you get your vehicle running or get it towed to the location you designate. 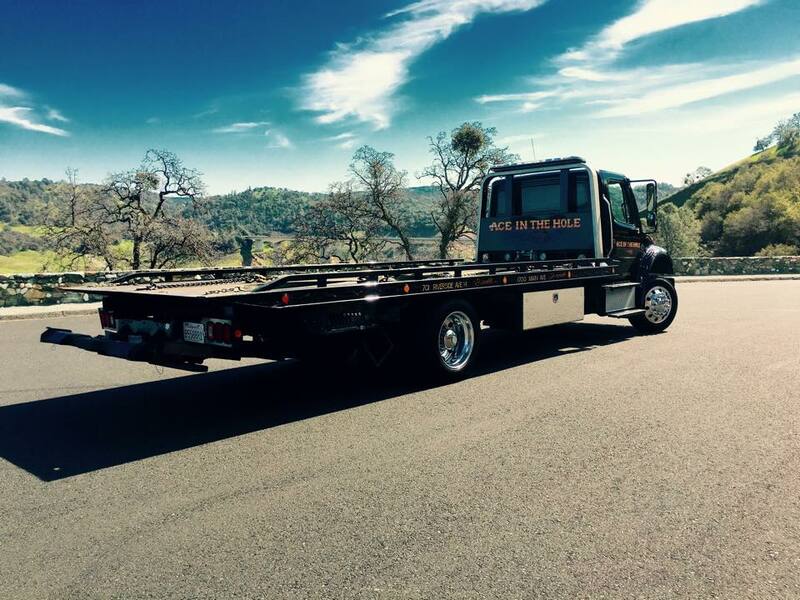 Being the best tow truck company in Rocklin is about more than moving vehicles around. All our experienced tow truck operators are continuously working to find the very best ways to serve our customers. We know that most times when you call us it's because you need help with a less than perfect situation. So, all our drivers will do what they can when they arrive to make it possible for you to safely drive your car away. Our goal at Rocklin Ace Towing is to solve your vehicle problem on the spot so you can drive away, and not be towed away. However, if a tow is unavoidable, rest easy knowing Rocklin Ace Towing utilizes a fleet of the very best tow trucks on the road to get you vehicle to place where work can be done. For the very best customer service and the very best towing company in Rocklin, call Rocklin Ace Towing. At Rocklin Ace Towing we are very fortunate to have some of the very best tow truck drivers in the entire area. Our drivers know they are coming into a situation where a motorist needing help is less than at their best. When a car or a truck isn't running properly, it's frustrating for the customer, and our drivers are trained to help everyone involved see the value of looking for the right solution. It's all about great customer service, and Rocklin Ace Towing drivers will take the time to let the customer vent a little, while staying focused on getting the car or truck ready to get back on the road. Anyone can have a tow truck, but at Rocklin Ace Towing we never loose sight of the people side of the business. Now, it helps that we provide our drivers with the very best tow truck equipment available. If necessary, we can store your vehicle until your insurance carrier tells you where to take it. We have a secure storage yard conveniently located right off Interstate 80 where we hold vehicles for customers. Our yard is open Monday through Friday from 9:00 a.m. until 5:00 p.m. If you need to get access to your vehicle during off hours, just call and make an appointment.